Cleanup is Much Simpler With Dry Ice Blasting | Blackwell's Inc.
Dry ice blasting is well known for being an efficient method for cleaning. One of the big advantages of cleaning with dry ice is the cleanup after the actual cleaning. Because dry ice sublimates back into the atmosphere (turns back into CO2 gas without becoming a liquid first), the cleanup is much simpler. There is nothing to remove from the cleanup site but the actual contaminant itself. 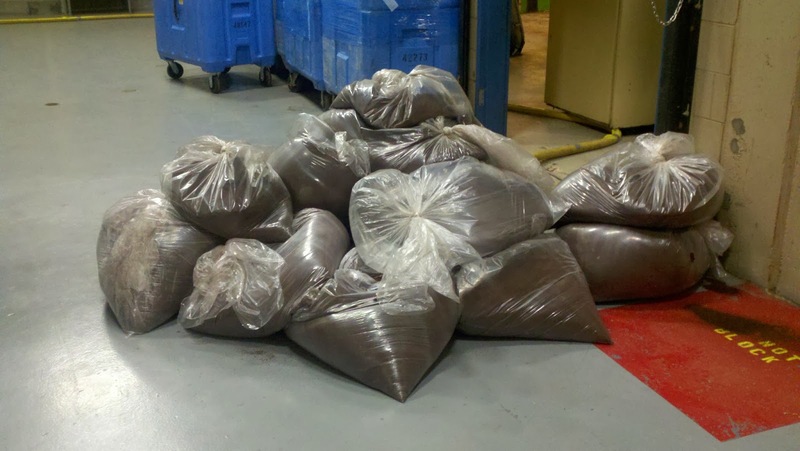 In the case of a ground coffee storage bin, the ground coffee and degassing residue can simply be swept or vacuumed up and put in plastic bags for disposal. That's much simpler than having to contend with the disposal of the residue AND the water.